Defense Secretary Delfin Lorenzana on Friday urged the country’s giant neighbor China and other countries to respect the Philippines’ sovereignty over the Kalayaan Group of Islands in the West Philippine Sea, where the Philippine government is having construction projects. Lorenzana’s statement followed reports China had deployed as many as 95 ships near the Spratly Islands after the construction projects on Pagasa Island began. “The presence of militia on the Chinese man-made structures is no surprise to us as they have been there since 2012,” said the Defense chief. According to Lorenzana, improving all existing facilities in Kalayaan was the government’s constitutional mandate. In his statement, Lorenzana said: “Improving the safety, welfare, livelihood, and personal security of Filipinos in the municipality of Kalayaan, a distinct and separate town under the province of Palawan, is the government’s Constitutional mandate. He also emphasized that the DND had always been open and transparent in conveying and fulfilling the government’s desire to improve the living conditions of both the civilian and military citizens in the community of Barangay Pag-asa, the largest of the nine islands in the municipality comprising the Kalayaan Island Group. “The presence of militia on the Chinese man-made structures is no surprise to us as they have been there since 2012. We expect other countries to respect Philippine sovereignty, and to conduct themselves in a civilized manner befitting members of the global community,” Lorenzana said. The other islands in the KIG are Kota Island, Parola Cay, Patag Reef, Likas Island, Lawak Island, Panata Cay, Rizal Reef, and Ayungin Shoal. Among the facilities being constructed or upgraded in Pag-asa are the beaching ramp that will be completed by the first quarter of this year, air strip (Rancudo Airfield), better barracks for soldiers, desalination facilities, sewage disposal system, conventional and renewable power generators, lighthouses, shelters, and storage facilities for fishermen. 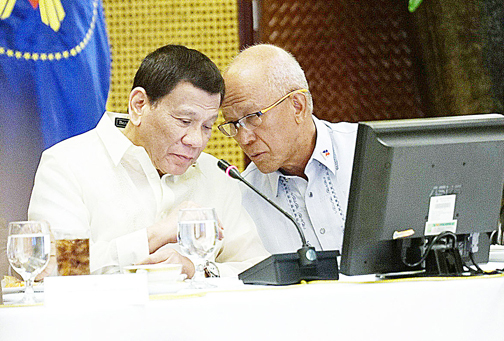 “These planned modest improvements are basic but nonetheless highly essential in delivering social services to raise the standard of living and improve the quality of life of Filipino citizens on the island,” Lorenzana added. The DND chief also bared these improvements had undergone careful planning and consideration, with full respect to international law and rules-based order governing civilized states. “Implementing these improvements is a legitimate undertaking, and well within our rights as a sovereign nation,” he added.